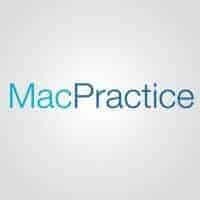 MacPractice MD is a best-of-class medical practice management and clinical application for all practitioners. MacPractice gives doctors access to high quality software at a reasonable cost. MacPractice backs this up with a full spectrum of complementary, integrated software and hardware solutions and associated support services. MacPractice MD 4.1 is 2011/2012 compliant and has been certified by CCHIT®, an ONC-ATCB, in accordance with the applicable certification criteria for Eligible Providers adopted by the Secretary of HHS. This certification does not represent an endorsement by HHS or guarantee the receipt of incentive payments.